This is the story of Elisabetta Franchi, the beating heart of the namesake brand, who managed to rock the female universe with her style and creativity: her success rests on her unlimited passion, painstaking care for product design, sheer devotion to her job and a good share of pragmatic sense. The story began in Bologna, the city where Elisabetta was born in 1968, the third of five children of a humble family. Years later Elisabetta remembered how the lack of a father and the family hardships, mixed with her passion and determination to turn her life around brought her to following her dream with great obstinacy, without giving up before the struggles of life. She made her debut in fashion during her studies at Bologna’s Istituto Aldrovandi Rubbiani. Meanwhile, she made a living by doing several temporary jobs, for instance, she worked as a salesgirl, which taught her to pay attention to the consumers’ needs and listen to their opinions. This lesson was crucial for her, so much that it would lay the foundation of her professional success. From a professional standpoint, Elisabetta Franchi learnt her trade moving from one boutique to another, until she opened her first workshop, Le Complici, in 1996. There, she began to give shape to her ideas and fashion her first creations, following her instinct and with only 5 people to help her (now they are over 150). This is where she put the craft – which she had learnt to master in her boutique years – to good use: she studied people, kept an eye out on street trends and focused her creativity on the product. Thanks to the outstanding skill to personalise and customise products, the workshop began to grow: in 1998 she founded Betty Blue S.p.a to fashion the CELYN b collection, a name that resonates with the unmistakeable Paris style and where the letter b stands for “Betta”, short for the designer’s name. The style is quite clear and stands out for its extremely feminine urban chic mood, with curvy fits and impeccable silhouettes. These two features are the brand’s strong suit still today. “When I began in 1998, either you were good or you didn’t get far. This is why I am used to fighting. You must have your goals very clear in your mind and be confident about accomplishing them. There is no room for even the slightest doubt. I chose a very specific, very feminine type of target; it does not matter whether she is 17 or 50, as long as she wants to show her feminine side”. Her words embody the very essence of her style as it unfolded since the very beginning. Today, Elisabetta Franchi has chosen Milan to open her first key account showroom: the new via Tortona 9 facility stands as a black 950 m2, 6-storey monolith, whose design is a prelude to the sophisticated elegance of the collections is houses inside. Elisabetta decided to feature personally on her products: since 2012 she has been the signature behind her collections. “I want my reputation and signature to be on my creations, in order to have a clear, straightforward relation with my customers”. And customers just love her. They stop her on the streets to thank her for creating a fashion that represents them and with the right price/quality ratio, designed for women who are out to like themselves before appealing to men. She is the creator of a perfect Made in Italy prêt à porter that owes its success to her style and the particular production strategy based on quality, excellence and care for detail. In little over a decade, the dream of a creative person with a strong pragmatic sense turned into the latest fashion sensation. A dream that came true also thanks to the special people that assisted her along the journey and believed in her: one in particular was Sabatino Cennamo. 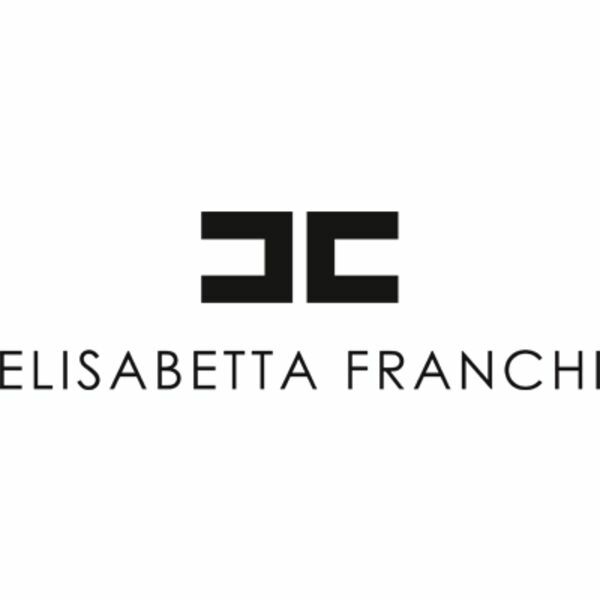 The entrepreneur, bound to the designer by a professional and sentimental tie, was one of the main reasons for Elisabetta Franchi’s career and the Managing Director of the company until his untimely death in 2008. This ambitious and creative man contributed to the brand’s success because he believed in it with all his soul.